Paul Edmonds Revamped and Stunning! If you think about it a lot happens in the place where you get your hair washed, what is known in the trade as, the backwash area. There’s the drama and flash of foils and cling-flim being taken off to reveal the perfect highlights or balayage. Or the technical discussions between stylists and colourists for hair repair and intensive TLC treatments. And of course lets not forget the bliss of unwinding with one of our signature head massages whilst the massage chairs gently relax your back and legs. 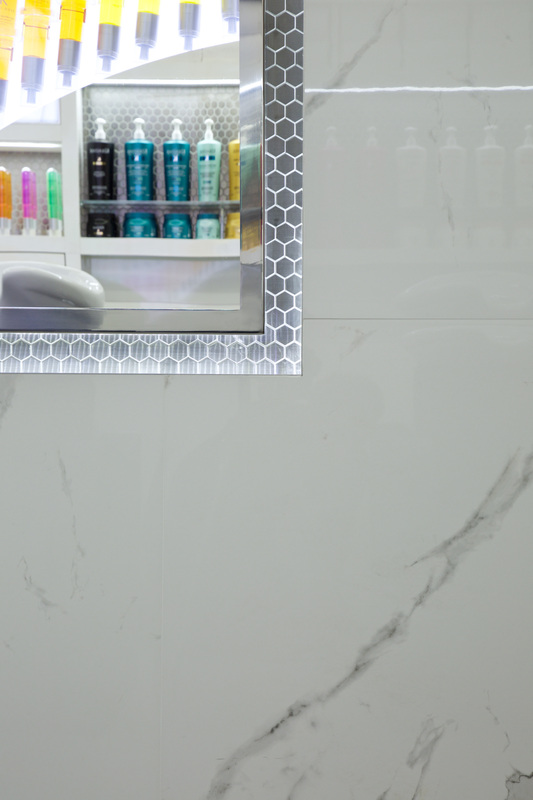 We spent two years creating the perfect space that would allow us to do all these things whilst giving the feel of a wet-room feel in a Knightsbridge town house. The designers created a luxurious space of marble, recessed ceilings, precision light tones (which we need to enable correct colour applications). This creates a new link between the main clubby living room salon and the intimacy and focus on the beauty rooms at theHouse. 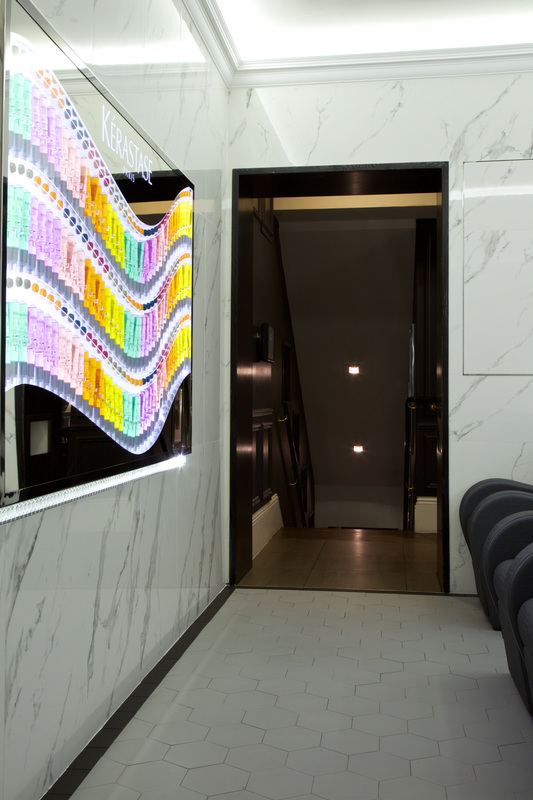 As we are passionate about Kerastase we created a concept of having an installation for Fusio Dose, making it into an art piece. 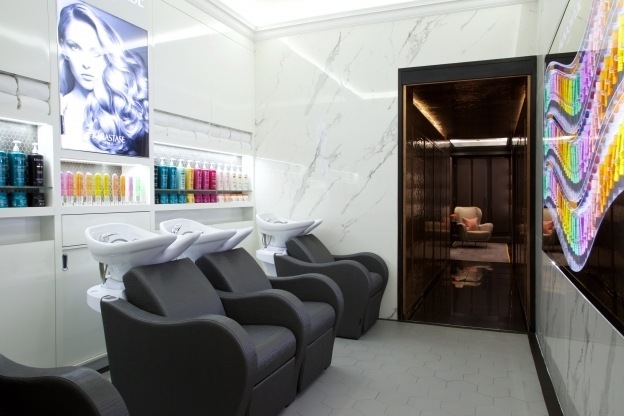 This required L’Oreal’s designers to work out the logistic of how to make the installation design become reality, but still working to our Paul Edmonds London design requirements. For example, we reduced the white and we maximised the Paul Edmonds use of pewter and mirrored materials. 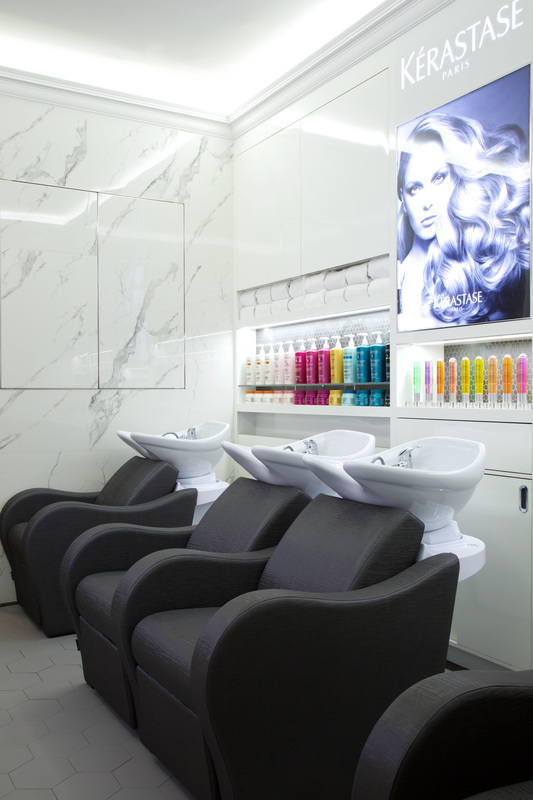 All in all the process took over 2 years, this was partly our requirements for design as well as picking the right week in the year to be able to close the ground floor backwash space in order to minimise operational disruption – we tried our best with the latter but as we are a busy salon it didn’t go as smoothly as planned! 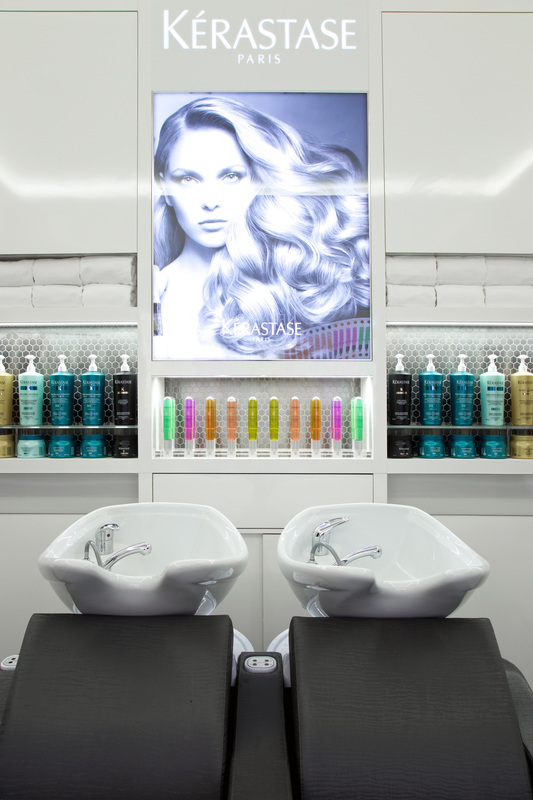 To book in for a cut, blow dry, colour or one of our extensive menu of treatments, book now!